Microsoft Cortana, the software giant’s Siri-like personal digital assistant available on Windows Phone and Windows 10 mobile and desktop platforms, will expand later this year to iPhone, iPad and iPod touch devices, as well as Android smartphones and tablets. The company officially confirmed the news in a blog post this morning, basically corroborating an earlier March report by Reuters which claimed Cortana would hit non-Microsoft mobile platforms this fall. “We’re also gonna enable all Windows 10 PC users to take the intelligence of that Cortana system with them onto not just their Windows phone, but also their iPhone or Android phone as an app you can install on one of those devices,” Microsoft’s operating systems chief Joe Belfiore said. Even though Cortana will be downloadable through the App Store, the Windows giant cautioned there will inevitably be certain things that Cortana does on Windows phones that won’t work on iPhones. “Some features require access to the system that aren’t currently possible with iOS or Android, so things like toggling settings or opening apps won’t initially be available in the Cortana companions for those platforms,” said the firm. “Hey Cortana,” another cool feature, won’t be possible on iOS and Android as it requires special integration with the device’s microphone. 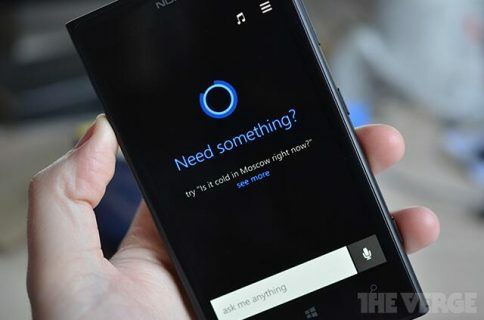 For the time being, “Hey Cortana” will be limited solely to Windows Phones and PCs. 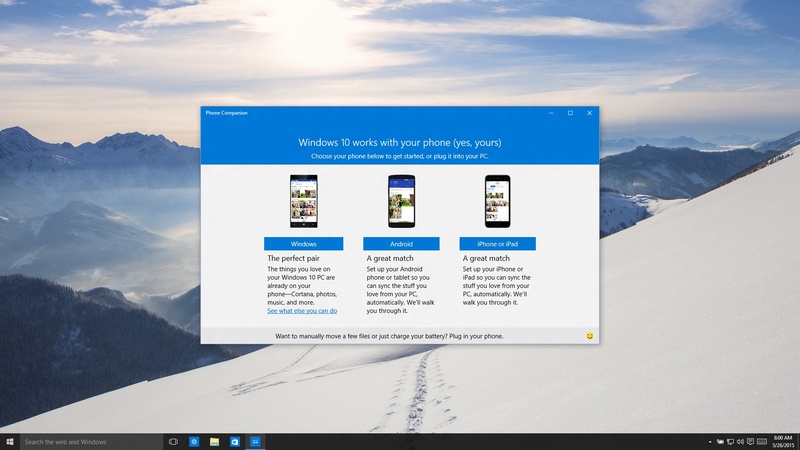 It’s interesting that Windows 10 will include a brand new app called Phone Companion, seen above and below. 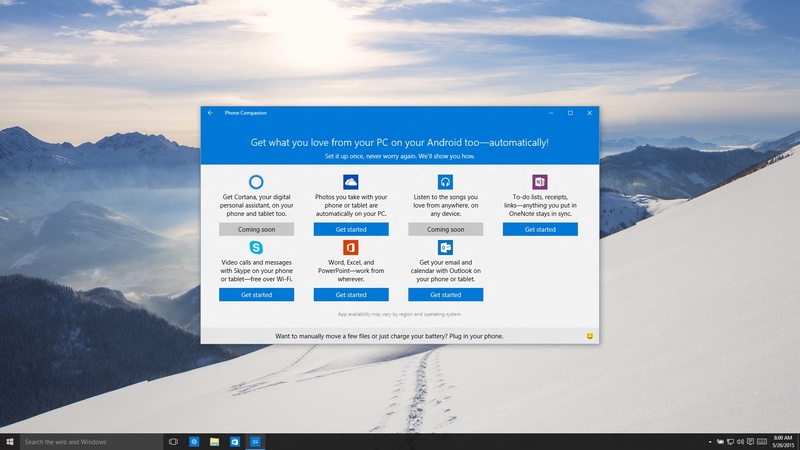 With it, PC customers will be able to install Cortana and other Windows apps for the iPhone, Android and Windows Phone. In terms of other features, Phone Companion will let iOS and Android users install and set up Microsoft’s OneDrive cloud storage service on their devices, as well as note-taking software OneNote, voice calling app Skype, mobile Office apps such as Word, Excel and PowerPoint and email client Outlook. “Set up your iPhone or iPad so you can sync the stuff you love from your PC automatically,” the app’s splash screen reads. And last but not least, the upcoming Music app will let you play your music from OneDrive on Windows PCs, as well as iOS and Android phones, for free. 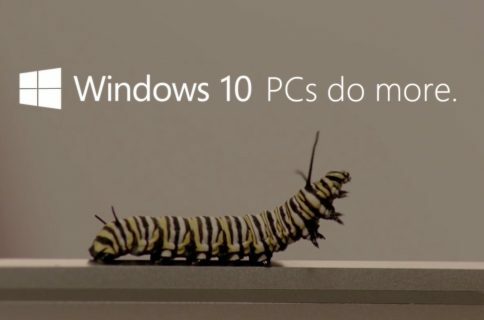 “This means the music playlists you spend hours putting together on your Windows 10 PC will now show up and be playable on your phone, automatically,” said the firm. Cynics could point out that Microsoft is no stranger to Siri bashing. Indeed, Microsoft in a series of television commercials has painted Siri as being less capable and not as integrated as Cortana. The ad below disses the iPhone 6 Plus for supposedly making Siri bigger rather than smarter. Are you excited about the prospect of a non-Apple personal digital assistant on your iPhone and iPad? 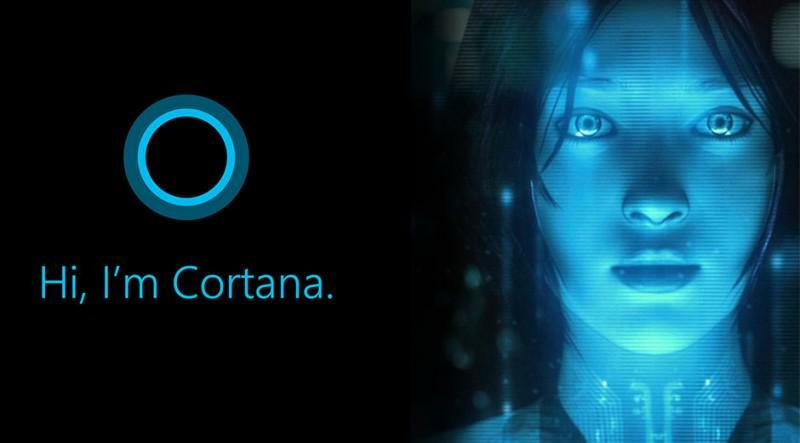 And if so, will you be giving Cortana a whirl when it hits iOS?